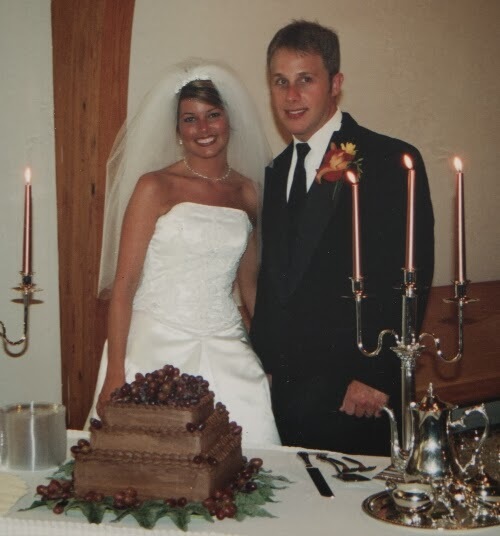 Today is our 10 year anniversary. And we are celebrating with a trip to the beach! All alone!!!!!!!! No kids!!!!!!! I'm thankful for you Scott and for loving me for better or for worse, richer and poorer, crazy staph infections and in health, hormones, extra weight, no sleep and many many days of sweat pants and dirty hair. You always make me laugh and you gave me the two cutest girls I've ever seen. The last ten years have been SO full - I can't imagine what might be ahead of us but I'm glad we will do it together! Today is about Advice for new moms. I would love for y'all to write posts giving your best advice. Maybe it's just what some expecting moms or new moms will need to read. 1. You really just have to learn by fire. People will give you all kinds of advice but remember every child is different and you have to find what works best for your family. You can read all the books you want but I think so much of parenting you have to learn by just living it. I thought the newborn stage was hard and would last forever. I thought teething was hard. I thought Harper would never get potty trained or give up her pacifier. But guess what? We got passed that and now I can barely remember any of it. It's like the morning sickness of pregnancy. Once you have the baby - you can barely remember the bad parts of being pregnant. It truly does fly by so quickly. Hang in there and take it day by day. You WILL take daily showers again. You WILL go to restaurants again. It is so helpful to find finds who have kids the same age as yours or close. I survived the early years because I was surrounded by friends right there with me. And watching our kids grow together has been so bonding. Community really is so important. I know the early days are tough. But oh enjoy it. I think most moms miss those baby days (once we are past it). I would give anything to be back in those days with just Harper as a baby sitting in her bouncy seat. I LOVE LOVE her as an almost 5 year old but I can't believe how quickly the time has gone. Mothering is TOUGH and WONDERFUL. Remember we are all in the same club - don't compare or judge - encourage instead.